¨ Horst Carganico was born on 27 September 1917 at Breslau. He was the son of General der Flieger, Victor Carganico. Horst joined the Luftwaffe in 1937 as a Fahnenjunker. He learned to fly at pilot school at Berlin-Johannisthal. At the outbreak of World War 2, Carganico was serving as Technical Officer on the staff of JG 1. From spring 1940, he served as Adjutant of II./JG 77. He served in Norway with this unit arriving there on 11 April 1940. He gained his first victory on 21 June 1940 when he claimed a RAF Hereford near Bergen. He had, in fact, shot down a RAF Beaufort attempting to bomb the German battlecruiser Scharnhorst near Bergen. Several victories followed before II./JG 77 was transferred to the Channel Coast on 9 November 1940. He claimed his fifth victory on 30 November, when he shot down a RAF Blenheim bomber. A promotion to Oberleutnant occurred around this time. Carganico was appointed Staffelkapitän of 1./JG 77 on 1 January 1941 and joined the unit operating from Sola, Norway. He transferred with the unit to Kirkenes in May 1941. He then served as Staffelkapitän with JG zbV which was formed from 1., 14. and 15./JG 77. On 25 July, he claimed a Russian flying boat shot down. Carganico was awarded the Ritterkreuz on 25 September for achieving 27 victories: only the second fighter pilot in the north to do so (first was Hugo Dahmer). In January 1942 I./JG zbV was incorporated into JG 5 as I./JG 5. 1./JG 5 was renamed 6./JG 5 in March 1942. Carganico retained leadership of the Staffel through these changes. In spring 1942, he claimed 23 victories in the six weeks to the end of June. Hauptmann Carganico was appointed Gruppenkommandeur of II./JG 5 in April 1942. 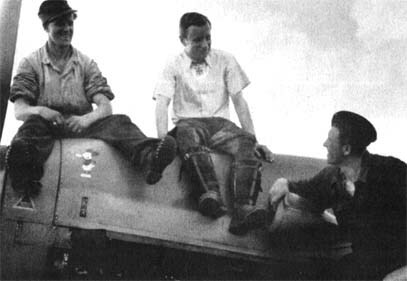 Carganico suffered engine failure in Bf 109 F-4 (W.Nr. 10 256) on 22 July necessitating a forced landing at Murovskij. He returned to his unit the next day. On 12 August, Carganico was part of a Schwarm escorting a reconnaisance Fw 189 over the Liza front and Murmansk. The formation was intercepted by Russian fighters and in the ensuing combat Carganico’s aircraft received hits. The damage was sufficient to force an emergency landing in Bf 109 F-4 (W.Nr. 10 132) near Motovsk. He evaded capture and returned safely to his unit the next day. 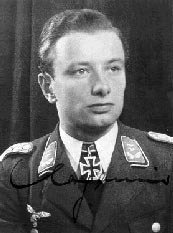 On 26 March 1944 Hauptmann Carganico was appointed Gruppenkommandeur of I./JG 5 participating in the Reichsverteidigung. Following aerial combat with USAAF B-17 four-engined bombers on 27 May 1944, he was killed when Bf 109 G-5 (W.Nr. 110 087) crashed into the ground after hitting high tension cables while Carganico was attempting to make a forced landing near Chevry, France.